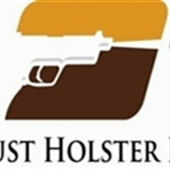 Just Holster It has the largest selection of holsters in WNY. In addition to the full line of holsters we manufacture in house fitting over 250 different gun models, we can also mold holsters directly off your handgun if we do not have a mold. In addition to our holster brand we also offer a wide range of leather holsters, holsters specifically for women and even a custom holster for hunting. Come in and try before you buy.